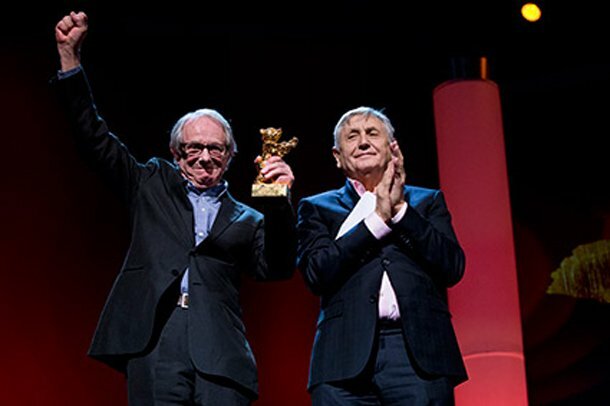 British director Ken Loach won an Honorary Golden Bear at the Berlin Film Festival, recognising films such as Kes and Cathy Come Home. Ken Loach, 77, has addressed reports that his next film will be his last, as he received a lifetime achievement prize in Germany. “We’ll have to see,” said Ken Loach noting that filmmaking requires “a physical stamina” that tails off “when you get into the wrong end of the 70s”. He was also celebrated with a gala screening of Raining Stones, a 1993 film about a poverty-stricken suburban family that Ken Loach said was “still relevant” and, despite the subject, “quite a cheerful film”. Ken Loach has spent a lifetime battling to make uncompromising films, often focusing on Britain and Ireland’s overlooked underclasses. The Oxford University graduate began his film career in what was known as “kitchen-sink” realism. He came to prominence in 1966 with Cathy Come Home, a Jeremy Sandford television play about a family’s slide into poverty and homelessness. Kes, released in 1969, was his first major feature film. The story of an abused teenager and his falcon, it remains one of the director’s best-known works in the UK. Since then, he has made more than 30 films, and won the Palme d’Or at Cannes in 2006 for The Wind that Shakes the Barley, about Ireland’s struggle for independence. It was Ken Loach’s seventh entry for the festival’s top film prize, but his first win. He previously won the jury prize in 1990 for Hidden Agenda, about a British army shoot-to-kill policy in Northern Ireland. Ken Loach’s next film is Jimmy’s Hall, about James Gralton, the Irish communist leader who set up a dance hall in County Leitrim, which he used to disseminate his political views. The Berlin Film Festival continues this weekend with the premiere of literary adaptation The 100 Year-Old Man who Climbed out of the Window and Disappeared; and a screening of the first two episodes of Netflix’s political drama House Of Cards. It culminates with an awards ceremony on Sunday. In 2013, Berlin Film Festival’s main prize was awarded to Romanian film Child’s Pose.